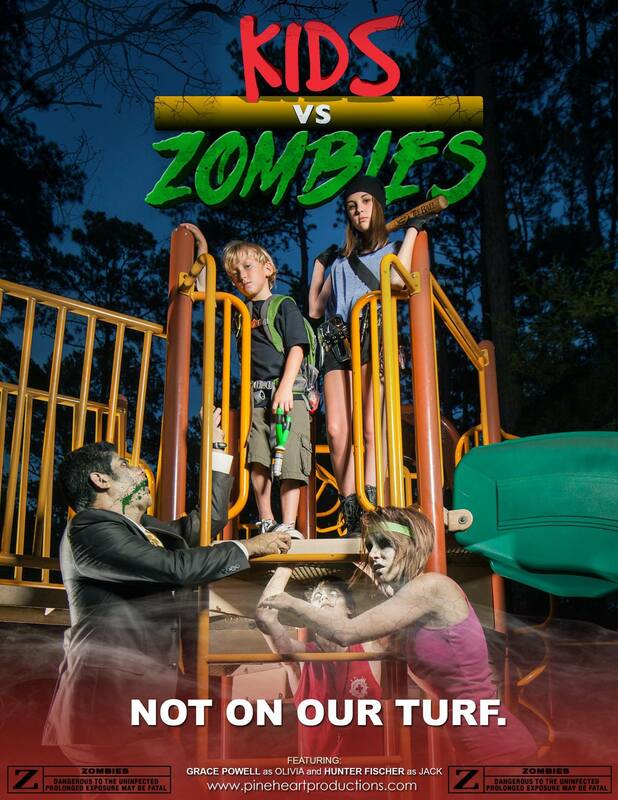 Welcome to Our Turf | Kids vs. Zombies – The Movie! A young brother and sister work together to outwit a barrage of peculiar zombies, rescue their mom and save the town. KIDS VS. ZOMBIES is a fun, family movie written for kids, but with their parents in mind, too! Zombies are a big part of pop culture these days, especially with shows like “The Walking Dead”, movies like “Zombieland” and “World War Z”, and video games like “Plants vs. Zombies”. Courtney Sandifer wrote this story to reflect her own kids’ fascination with zombies, but in a way that her kids (ages 8 and 10) could actually WATCH the movie. Action will be full of wacky, slap-stick sort of “Home Alone”- type traps and defense techniques. Our Indiegogo campaign is over, but it’s not over until the zombie sings…while the credits are rolling! – Sign up for casting calls and info through www.southwestcasting.com – where we will be making our casting announcements in the future. You can also email casting@kidsvszombies.com. – Want to work on the movie: Email crew@kidsvszombies.com with CREW in the subject, and let us know what your specialty is, and what you would like to help with. This entry was posted in Uncategorized by pineheartproductions. Bookmark the permalink.